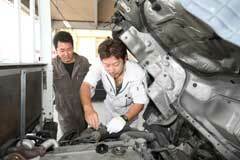 Maintenance of an older car is slightly more difficult and different in comparison to relatively new vehicles. There are some maintenance procedures that apply to both old and relatively new cars; however some are more specific to old cars. Knowing these procedures is very important. Knowing and practising the correct maintenance procedures will in result increase the life expectancy of your car. Below we have stated a few procedures that you should keep in mind. As mentioned above, some maintenance procedures apply to both new and old cars. 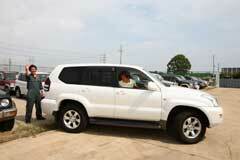 First we are going to look at the procedures that apply to both vehicle types. The regular changing of your vehicles engine oil is very important. Depending on which motor oil you decide to go ahead with, on average you would be expected to change the oil after five thousand kilometres. When getting the oil changed it is important that you get a new oil filter fitted in as well as the one that was previously fitted would not be adequate for the job any longer. What that means is that every time you get your engine oil changed; make sure you get the cars oil filter changed as well. Many try washing the old oil filter in hope of saving some money; however you will be putting your car at great risk. Another thing that you should change after a couple of months depending on your surround environments is the air filter. If you live in an area that is dust free, then you don't really have to change your air filter. At most all you would be required to do is remove it from the car and clean it using a vacuum cleaner. The function of the air filter is to trap all the dust that would otherwise get caught up in the engine. If you are living in a dusty area, even though you would be expected to clean your air filter regularly, you would be advised to buy a new one after a couple of months. These were the few major maintenance procedures that need to be practised regardless of whether your car is old or new. Now we are going to take a closer look at those maintenance procedures that are needed specifically for older cars. Maintaining an older car would require you to look at a few extra things. This would include the car tyres. Legally you car tyres are required to have a certain tread depth for them to be driven on the road safely. Seeing that the roads we drive on are well maintained, the treads remain roughly the same. For this reason the treads don't really give a fair idea of whether or not they need to be changed. Instead you should look at the tyre cracks. If your tyre has excess cracks, it is recommended that you get them changed. Usually, with an older car, you would be expected to change your car tyres around every six months. Other aspects of an older car that you would have to maintain would include the window wipers, head light bulbs, tail light bulbs, indicator bulbs, radiator water, car suspension and bearing. Most of these are straight forward. The one that causes car owners a bit of problem is the car suspension and bearing. Even though these are not every day car parts that are normally maintained or need changing, with an older car, anything is possible. The amount you have to change and maintain of an older vehicle will all depend on how the car was used and kept with its previous owner.